Over the years, I’ve gone through periods when I’ve gotten my feelings hurt very easily. I hate this about myself. It’s pathetic and petty. Thank God, I’m much better about it than I used to be. Much tougher, more willing to let things slide, give people the benefit of the doubt, believe the best. Still, there are times when I allow my feelings to bruise like a rotten avocado. I tried to identify the source. I expect things of people. We expect things of each other. It’s very subtle most of the time…almost unnoticeable. But underneath the surface, we have expectations of reciprocity…and even beyond that. I expect that you will return my call…I expect that you will say what I need to hear… I expect that you will invite me because I invited you… I expect that you will help me when I need help… I expect that you will be the kind of friend to me that I have been to you (actually, much better)... I expect that you will meet my needs, read my mind. I expect that you will be there for me. But that is not always possible. Often not possible at all. I believe that there are times when God actually orchestrates circumstances so that we will feel abandoned by people we’ve counted on. 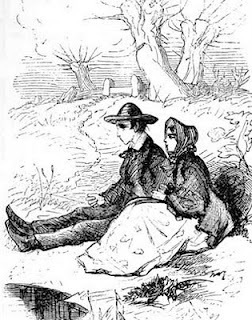 Later… often much later… you find out what the person was going through at the time and understand why she/he wasn’t available. Sometimes, I believe that God allows us to go through periods where we feel abandoned by absolutely everyone. All alone in the universe. If you are in a place like that, don’t try to figure it out. Don’t overanalyze the relationship(s). Just realize that your expectations have been placed in the wrong source. At some point, your spouse, father, mother, sister, brother, daughter, son, dog-catcher, doctor, lawyer, preacher, first-grade teacher, president, BFF, and the IRS will all let you down. This experience is necessary for spiritual growth. Many years ago, when I was relatively new in my faith, I was absolutely decimated by a relationship into which I had poured myself out. I had given of myself sacrificially because I thought that was what I was being called to do. And then the person, who had serious psychological issues, turned on me in a very vicious way. Because I had invested so much into this relationship, I had neglected others. I felt totally used and alone. I became depressed. A friend urged me to talk to her pastor, who was a friend about my age. I dumped it all out on him. Later, I ran into a reading on a page that has since become pale and wrinkled with overuse. It is in a little book called “My Utmost for His Highest,” by Oswald Chambers. Expect nothing from Man, and everything from God. We have to understand that He alone can meet our needs, live up to our expectations. Then we can be free to love each other unconditionally, without the crippling expectations of what Lewis calls Need-love. Are you listening to yourself, Kim? Oh, Lord, please help me to place my trust in you alone. Then I will never be disappointed. It’s strange…since I jotted down the beginning of this last week, 3 or 4 people have mentioned to me something about having their feelings hurt. Does anyone else struggle with this? Any thoughts? It happens to everybody, eventually. I don't get my feelings hurt much but once in a while somebody manages to knock me for a loop. Usually someone I've bailed out of more than one jam, held their hand while they sobbed about whatever the current crisis was, made a casserole or fetched a beer for. And the people who come through for me seem to come out of left field. Not the ones I would feel like I had the right to ask for help. It all comes out in the wash, I guess. All I can do is step up when I'm called to and say thanks when it's my turn to receive. You are certainly not alone in this. Thank you for sharing a very timely word for me!! You have no idea how that message just spoke to me. i'm in the middle of job training. i should be paying attention. but my eyes are blurry from this awesome post. I'm working so hard to remember this through a relationship in my life. HE defines my beauty, no one else. I love all your posts but this one speaks to me in a special and necessary way as I play the expectations game so very well myself. What a wonderful reminder you gave us to trust in Him alone. Thanks again for your insights and authenticity. Continuing to pray for Katherine and all your family. Great piece... much wisdom here. I needed to hear it. And I love the illustrations. Are they from the original "Great Expectations?" Thanks- this is just what I needed to hear today! Thank you all for these words of encouragement and identification. This wasn't particularly what I wanted to write about, but I kept getting confirmations that someone else needed this message as much as I did. I am glad that it spoke to some of you. 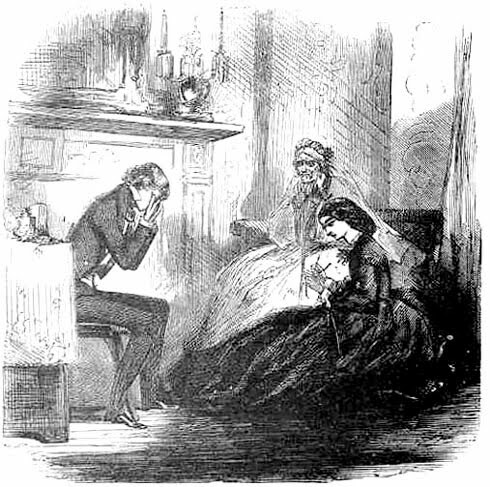 And yes, I probably should have credited the illustrations from an early publication of Dickens' Great Expectations.